Health chiefs have backed plans for a hub to be created as part of move to improve a town's maternity services. The idea has been suggested by Hartlepool Borough Councillors. 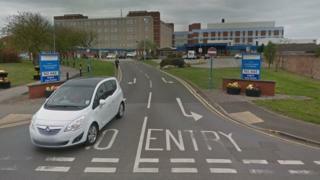 Councillors also want increased maternity services at the town's University Hospital, which was changed to "open as required" in 2008. The North Tees and Hartlepool NHS Foundation Trust said it would "welcome" a hub offering a range of maternity and family services. The council's audit and governance committee has been investigating maternity services at the hospital. Councillors said the development of a hub would be positive for the town, according to the Local Democracy Reporting Service. They said their preferred option was a full consultant-led maternity unit at the University Hospital of Hartlepool. The midwife-led unit saw just three births in 2017.